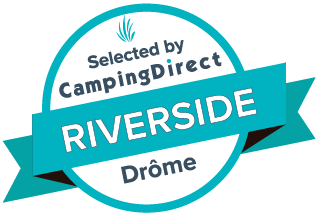 By mail or phone, contact without delay Les Rives de l'Aygues, 3 star campsite with swimming pool in Drôme Provençale. The owners will help you choose the type of rental you need, or the perfect location to stay at this riverside family campsite. The establishment is adapted for people with reduced mobility, pets are allowed, under conditions. Contact the property for any further information. - 24 km from the A7 motorway exit "Orange"
- 45 km from the motorway exit A7 Nord "Avignon"